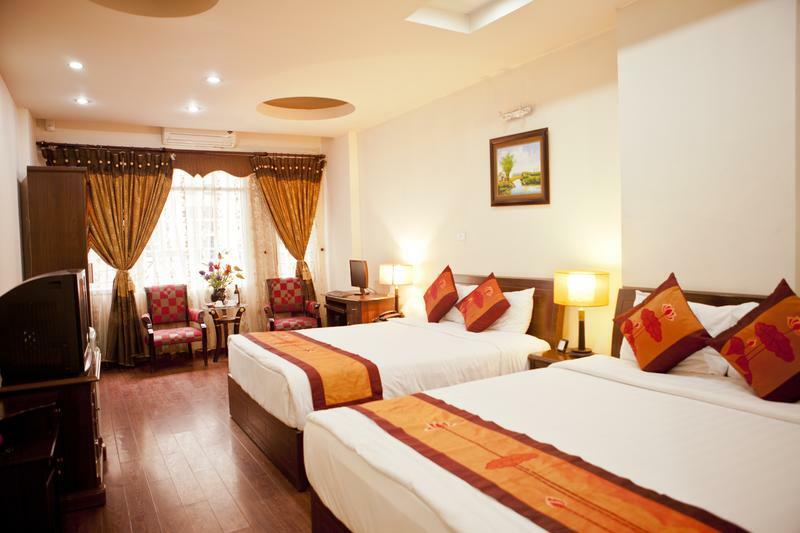 Located on one of oldest and most quite streets of Hanoi next to Josephs Cathedral and near the Hoan Kiem Lake, the HANOI CIAO HOTEL is a newest hotel which opened in September 2011 and is one of the few family-owned and run hotels in Hanoi. 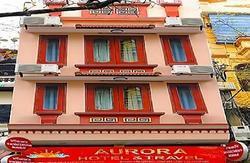 This hotel offers good value a warm and welcome atmosphere that emphasizes friendly and hospitable service. The HANOI CIAO HOTEL does not have a restaurant but there is a breakfast service, and a wide selection of restaurants and coffee shops, bars near the hostel. Staff at the 24-hour front desk can advise guests on nearby attractions and facilities, mobile rental, secretarial services and babysitting services. Guestrooms. 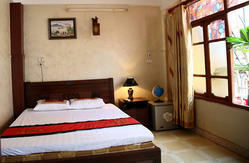 The 20 guest units at HANOI CIAO HOTEL have warm decor with modern furnishings. Each includes a mini- refrigerator, cable television, bathroom with complimentary toiletries. - From your room, you can see sun rise over the Hoan Kiem Lake and Josephs Cathedral every morning and beautiful city views from the balcony of the evening. - Wifi internet access in room (some rooms is equipped private computer ) . - Enjoy your lovely moments in our delightful dining/bar room- Every morning you can enjoy our Vietnamese and continental breakfast from the dining room.